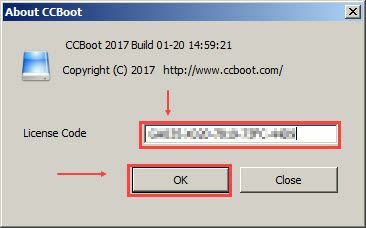 Since, CCBoot version 20161221 and higher we changed the email authentication to just license registration (authentication). To register the license in the new version. 1. Open About CCBoot window from the Help menu. 3. It will show "Register OK" once the registration is succeeded.